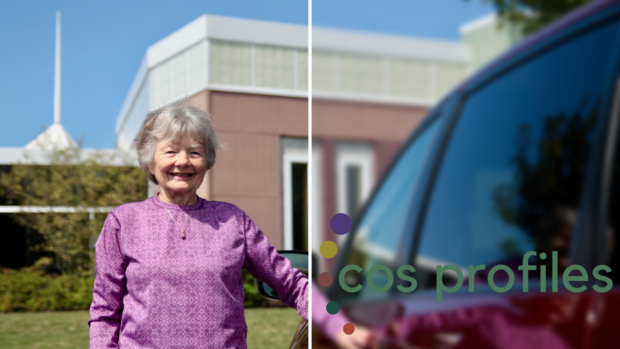 COS Profiles is a monthly newsletter featuring church members of COS who serve our community in interesting and effective ways! This month’s profile is of Nita Vander Berg, coordinator for our Refugee Support Team. Interviewer: You have been involved with COS’ refugee ministry for quite a few years. Nita: It was actually 1993 when I started. Interviewer: Can you give us a brief history of the refugee ministry at COS? Nita: COS has been involved with refugees since 1975. Rev. Howard Schipper started Freedom Flight (FF) which became the Church World Service (CWS) affiliate for West Michigan to resettle refugees from the Vietnam War. FF got every Christian Reformed Church and Reformed Church in the area to sponsor a Vietnamese family. Nita: Bill Diephuis and John Straayer started the committee to help the Ai family. COS also sponsored a second family. Vietnamese families were supported for two to three years. In 1980 the church was reluctant to sponsor another family, so Jud and Cele Mereness sponsored a Romanian mother and her by themselves. In 1982, Jim Dekker preached a sermon at COS and then got Ken Andree to help with Overground Railroad (OR). Interviewer: And that program was with refugees from Guatemala? Nita: Guatemala, El Salvador and Honduras. Young men coming were asylum seekers on their way to Canada. Most of them lived with a COS family for a year. Helen still maintains close contact with Manuel Guzman who stayed in her home. Manuel and his wife often come from Guelph, Ontario to visit. Nita: The Refugee Task Force (RTF) was formed in 1987. Wes Bonzelaar and Ken Andree promoted the start of RTF under the Mission Action Committee chaired by Jonathan Bradford. RTF continued to help with Central Americans through OR, even operated a Friendship House for them with house parents for three years. Ep and I got involved in 1993. In 1994, RTF drafted a proposal to start an organization called Resettlement Assistance Program (RAP) to broaden this ministry. RAP was approved by Council and secured a grant from Classis GR East in 1996. RTF hired Naomi Madsen as part-time director. In May 1996 the Central America program stopped. RTF approved the start of COS assistance to refugees resettled by Catholic Human Development Organization (CHDO) who were not self-sufficient after six months and changed the name of RAP to PARA. We started an ESL program and a Job Club at COS for Bosnian refugees who were living in the apartments across the street. In 1997, PARA became a 501c3. Interviewer: And PARA stands for what? Nita: Programs Assisting Refugee Acculturation. The first board members were all from RTF. In 1997, Lutheran Social Services of Michigan (LSSM) was awarded the Department of Human Services (DHS) employment contract which previously went to FF. CWS was planning to close FF and move out of Michigan. Peter Vander Meulen represented CRC/RCA on the International Refugee Migration Committee and said, “I know someone who can do this for you.” And so, PARA became the CWS affiliate on October 1, 1998 for the Refugee FY 1999. CWS sent Naomi and I to Richmond, VA for week training in July. PARA started in a small donated room at St. Mark’s Episcopal Church. We welcomed our first Bosnian family December 1 and our first Vietnamese family December 2. Woodlawn CRC sponsored the Bosnian family and COS the Vin Vuong family. Bob and Hope De Jonge were involved and Duc Lam served as translator. Duc went back to Vietnam to visit his family, met Vin’s niece, and she came here on a fiancée visa. They are members of COS. Initially, COS sponsored four families a year. RTF budgeted $3000 per family which provided for a security deposit and rent for three months in several of the apartment complexes across the street. COS provided a welcome pack. Refugee funding to agencies increased so now we budget $200/apartment and $100/person for household goods and clothing. We also give $250 towards Driver Training. After six months of no arrivals after 9/11, PARA became part of Bethany Christian Services (BCS) on July 1, 2002. BCS also offers Employment Services and The Healing Center for counseling services. It also has a large Refugee Minor Program for youth under 18. Through the years we tried to concentrate on different ethnic groups. When the Iranians started coming, 1999 – 2001, we sponsored all of them. After the first year, most of them moved to California. From 2002 – 2004, RTF also started a program with the seniors at Camelot Woods. We had monthly potlucks with the Andree Household. Chuck & Muggs Mast worked on ESL and Citizenship and still do. 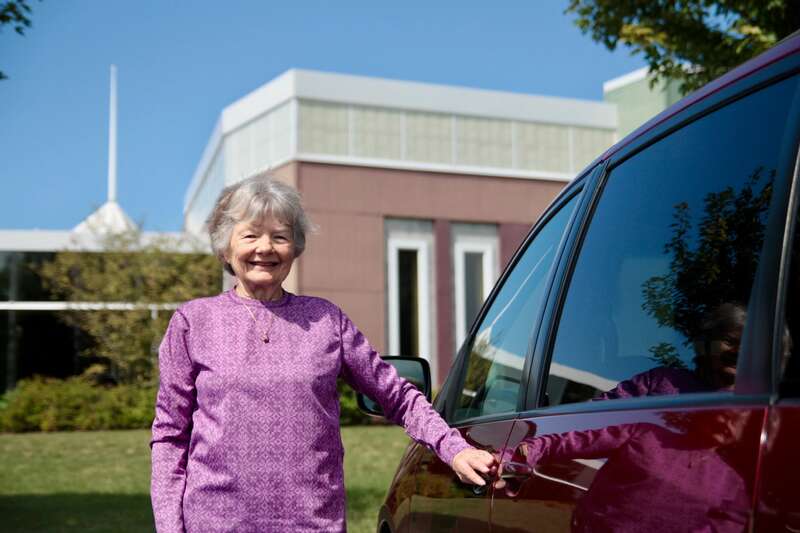 Jean Andree took seniors to medical appointments as was later hired by Senior Neighbors. From 2004 – 2006, we focused on Africans from Rwanda, Liberia and Sudan. In 2007 the Burmese started coming from Malaysia and Thailand. In 2008, RTF teamed with Thornapple Covenant to sponsor the two Adhikari families, first Bhutanese refugees to come from Nepal. We rented two apartments at The Fountains. Both families now own their own home. I still maintain contact. RTF has also co-sponsored all of the refugees from Sri Lanka who came through Bethany or LSSM (now called Samaritas). With the Bhutanese and Sri Lankans, RTF made a commitment to sponsor their friends and family. After several years of the ESL program being run by Grand Rapids Public Schools and LSSM, it became part of RTF again from 2006 – 2013 under the leadership of Coni Huisman, Barb Carville and Helen Bonzelaar. Besides starting ESL and PARA, RTF also started the Basic English Service (BES). That was approved by Council in 2009. The first worship service was held April 19, 2009. Watch for the 10th anniversary! Interviewer: It must be very satisfying for you to see the way that BES has grown. Nita: Very much so. It averages 70-80 people, but we have been over 100. BES has also attracted refugees that were not sponsored by RTF. Presently, we try to have a closer connection. This past year, RTF sponsored the Jeremie Tondo family of six who came via the visa lottery. They arrived last October and were living with the family of the four boys that Gladys Verhulst brings to BES every Sunday. They had to raise $14,500 to pay for medicals, visas, and airline tickets before they arrived. They did not get any support from Bethany or Samaritas, current local resettlement agencies. 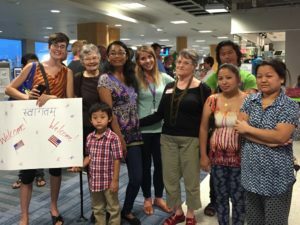 After three months of living with family, RTF was fortunate to get a four-bedroom duplex from a landlord who rents to refugees below market value so they can save money to buy a house. Jeremie works 3rd Shift. Mimi attended ESL at COS. The three girls are doing well in school and the boy starts this fall. The kids love the bicycles that David Bosch got for them. They are active with BES. Makema Hans came in January through Samaritas to join his family. After being here two weeks, he sent an email to COS requesting assistance to get his wife and son from the refugee camp in Tanzania. Helen started email correspondence and brought him to BES. Makema works 3rd shift at Ventura. Esperance and Esther, also Congolese, moved to Grand Rapids after spending time in California and Texas. They became secondary-migration clients of Hannah Kummer, intensive care caseworker at Samaritas and member of RTF. We helped them move from renting one bedroom to their own apartment in June. They were also interested in attending BES. Interviewer: Is it the case now that most of the refugees who come to us are secondary migrants? Nita: No. Most are new refugee arrivals that are sponsored by Bethany or Samaritas. In May, we agreed to co-sponsor a single Sri Lankan refugee through Bethany. Pappa (nickname) arrived June 18. He has a wife and three children in Sri Lanka. He was in India for two years then in the Nauru Detention Center for five years. Currently, we are helping with household goods and transportation to medical appointments. However, there is a lot of secondary migration of Congolese refugees. 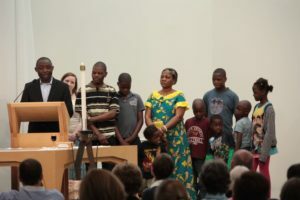 At the Loving Your Neighbor Conference, we heard there are 5,500 Congolese in Grand Rapids and eleven churches. Interviewer: Can you give us an estimate of the number of refugees COS has sponsored over the years? Nita: We probably averaged about 20 a year. At the height of the Nepali resettlement, it totaled 52 in FY2012 and 39 in FY2013. We started in 1998, so that comes to roughly 400 refugees. The US was averaging over 50,000 refugee arrivals a year when the ceiling was 70,000. This year the ceiling was 45,000 and arrivals will be closer to 20,000. I just heard today that the Trump administration is thinking of making the ceiling for next year 25,000 which will hurt many of the employers here in town. Interviewer: One of the themes I am pursuing in these interviews is how we see outreach ministries as contributing to building the kingdom of God. Can you help us connect the dots between the refugee ministry and God’s kingdom here? Nita: Current RTF members are all involved with BES. In different ways, all are building friendships with the refugees and internationals from Calvin College and Calvin Seminary that attend BES. We invite them to participate in the church dinners, the Wednesday night clubs and Vacation Bible School. RTF has helped four other churches develop a refugee ministry. We are seeing a lot of ethnic churches grow in the city. We started the first Burmese church in 2008. We met on Saturday night at Brookside CRC. After 8 months, Grand Rapids International Fellowship (GRIF) offered the group their sanctuary on Sunday afternoon. Many churches are now sharing their building with different Burmese ethnic groups. For example, Plymouth UCC has the Chin, Plymouth CRC has the Filam, Millbrook CRC has the Tidem Protestants, Immaculate Heart of Mary has the Tidem Catholics. There are a couple other Burmese groups. The Congolese refugees are 96% Protestant. Grand Rapids is getting to be a Congolese drawing city. The Congolese pastors here are very active in recruiting members from across the country. I just heard yesterday that the Congolese group at Oakdae CRC is now larger than the Oakdale congregation. Mitogo and Fran have a French-speaking Congolese group at Kellogsville CRC and another group in Kalamazoo. 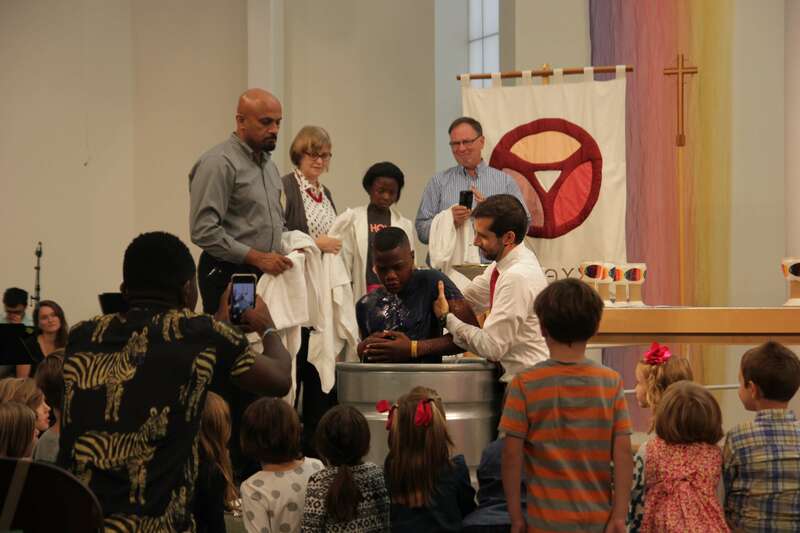 In April, Nepali Fellowship bought a former Baptist church at Eastern and 48th Street. Interviewer: Fascinating. These stories are very heart-warming and very exciting. Have you had any struggles? Nita: Cultivating patience. You learn to arrive early and wait and hope you still make it to appointments on time. We did have problems with alcohol among the Burmese and Bhutanese and worked with The Healing Center at Bethany to get help. I’d say for the most part, we have been very fortunate with the refugees we have sponsored. Most of them have become self-sufficient at six months. Employment and counseling services are available through the agencies for up to five years. However, some families have been here over five years and are still struggling. Those situations become a pastoral care issue for the church. Interviewer: These needs require a different level of ministry, don’t they? Nita: Yes. The BES pastoral care team works with these families. Deacons may be asked for financial assistance. Ann Plantinga Kapteyn and Chris Klein plan to train a small group in the fall and a larger group next January to counsel others to help refugees deal with trauma healing. There are other programs at COS that develop friendships and serve needs with refugees: Food Pantry, Camelot Picnic, Community Garden, ESL classes, Barb Hampton’s Thursday morning Bible Study, and Community Neighbors. Interviewer: How can the congregation support what you folks are doing? Nita: Get involved. Visit BES on occasion. Get to know some of the folks from other countries that worship with us. Meet with them at coffee. Invite them to your home. 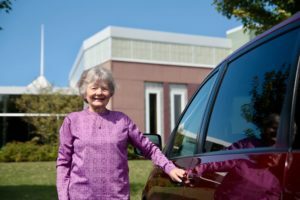 Drive for the church van or refugee appointments. Tutor or mentor a refugee. Pray for refugees. Interviewer: Is there anything else you would like to add? Nita: In May, we changed our name to Refugee Support Team (RST). RST meets once a month on the second Monday from 7:00 – 9:00 pm. New members are always welcome. Another thing that has been really exciting – we send $500 every quarter to Naji Umran for three programs assisting Syrian refugees. Vision for Future’s Discipleship Library of Arabic Publications provides kits for $150. Part supports a Syrian seminary student working with Anne Zaki starting a ministry working with refugees. Give-a-Hand trains Christian Egyptian Arabic-speaking volunteers to work with refugees who have experienced trauma. They also send teams to go to refugee camps in Jordan. There are more that 65 million refugees and displaced people around the world. Less than 1% of them are approved for resettlement in a third country. It’s been a joy to help the refugees we sponsor feel safe and resettled in their new home. It’s special when the friendships extend beyond the initial six months. Interviewer: Ok, let’s stop. Thank you, Nita! This interview was conducted by Jim Bradley on July 31, 2018.